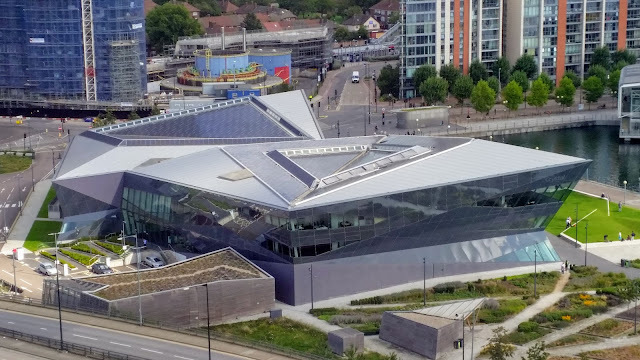 The Crystal opened in 2012 and is owned and operated by Siemens. Built as part of the Green Enterprise District Policy, which is a project to regenerate London's east end in a low-carbon and sustainable way, it is one of the world's most sustainable buildings. Using solar power and ground source heat pumps, the building creates its own energy and recycles everything it uses, including the toilet water. It is also home to the worlds largest exhibition on sustainable development. The surrounding urban landscape was designed to be sustainable and its aim is to encourage a shift in the social ideology, to make sustainability a more attractive idea.